Yaron is an IT executive with excessive experience in managing QA & Testing organizations conducting large-scale, complex, real-time system testing at various sectors: Telecom, Banking, IT and Medical Devices. In charge of planning and implementing control quality assurance systems and SDLCs, while using best practice industrial standards (e.g. CMMi, TMMi, ISO, TPI etc.). Preparing and leading a large international company at the Telecom industry through ISO 9001: 2000 certification. Excellent inter-personal skills. Management of large operations (leading engineers, QM, PM and customer support), both local and distributed outsourced teams in USA, India, Hungary and Singapore. Proven ability to create highly motivated and inspired teams, with a „can do” attitude. Yaron Tsubery has been the VP of the Testing Division at Ness Technologies in 2013 and a Director of QA & Testing Manager at Comverse since 2000. Yaron has vast knowledge and experience in managing large QA & Testing group that includes Testing Team Leaders, Test Engineers and experts. The groups were in charge of defining the Business Unit’s processes, the relevant tool and documentations that will be used while implementing these processes; the QA & Testing groups mainly dealt with defining plans and test strategy, while covering Functional, Non-functional, Load & Performance tests, using quality risk categories, and test automation, for large scale, complex real time systems (e.g. , IPTV, IMS, Mobile Internet Gateway etc.) some of which were included off-shore and/or near-shore solutions. Yaron was in-charge to define the roles and the career path of the group members while recruit and coach senior testing team leaders. The QA & Testing groups acquired vast knowledge and experience in managing and controlling ATPs at the customer’s sites. The groups also implemented a Risk-based approach for the complete product life-cycle, with special attention on testing. Implemented Agile method with special attention to SCRUM and a mix with other tradition methods such as spiral, V-model and waterfall. In addition Yaron was appointed to set as a mentor of senior test group leaders while implementing these methods. Yaron is also known as a manager who has built testing groups in his past and also acted as a consultant to testing managers – both inside and outside Comverse – while they were building their testing groups. Yaron was assigned by the management team to assess and perform due diligence for 3rd party companies which the business unit wished to cooperate with. 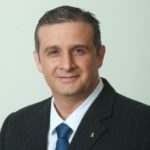 Yaron is the former President of ISTQB® (International Testing Qualifications Board – (www.istqb.org) and is also the President and founder of the ITCB® (Israeli Testing Certification Board – (www.itcb.org.il). 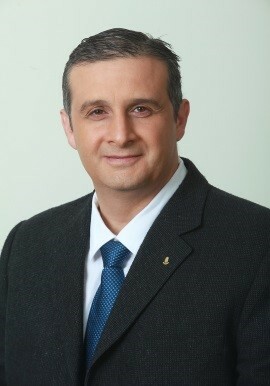 He is a member of IQAMF (Israeli QA Managers Forum) and in SIGiST Israel. In addition, Yaron has been invited as a speaker to some important international conferences to lecture on subjects related to QA & Testing.